Earvin "Magic" Johnson put the exclamation point on the most disappointing season in Lakers history when the Hall of Famer abruptly announced in a 45-minute, teary-eyed, impromptu press conference that he was stepping down as President of Basketball Operations. The bombshell announcement sent shockwaves throughout the locker room, the organization, and throughout the NBA. Nobody saw it coming, even after Johnson candidly admitted he had made the decision to fire head coach Luke Walton, but instead resigned; leaving all the decision-making on his "sister," Jeanie Buss, the controlling owner of the Lakers, and someone Johnson didn't even inform of his decision. Johnson stated that he couldn't be "Magic," while metaphorically handcuffed by the NBA's mandates placed on a high-level executive within one of its teams. He intimated he didn't like trading players or firing people, Magic wanted to be liked, not labeled as the villain. Johnson alluded to the "backstabbing and whispering," that had grown within the organization over the course of two losing seasons, the latter equipped with arguably one of the greatest players in NBA history on the roster. Critics have come from across the NBA landscape to deliver their two cents on what's become of the Lakers, and the consensus is that they are a poorly run franchise fraught with turmoil, dysfunction, and finger pointing from within. 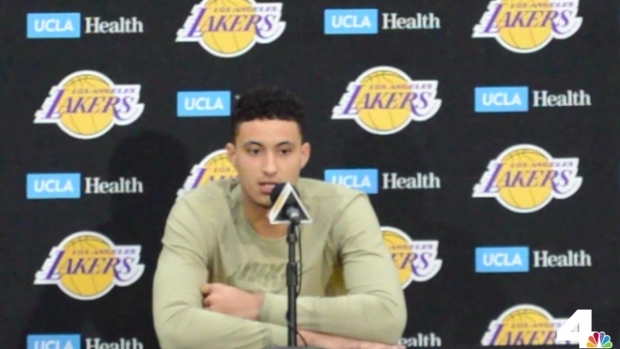 Los Angeles Lakers Josh Hart, Kyle Kuzma, and Lonzo Ball share their reactions when they first heard that team President, Magic Johnson, had abruptly resigned minutes before tip-off of the final game of the seaosn. "In this job, as a coach in the NBA, you are 100 percent dependent on your circumstances; the strength of your organization, the momentum, the unity, everything has to be in good order," said Golden State Warriors head coach Steve Kerr on Friday when asked about the Lakers. "Because if it's not, as we have witnessed with the Lakers, then there's going to be casualties, and usually the coach is the first one." Perhaps Walton will look back and realize he left just in the nick of time. Walton's exit revealed a lot about the Lakers, and their head coach was only the least of their problems. The Lakers are surrounded by disconnection and dysfunction at every level of the organization. At the hand of the Queen is Linda Rambis, Buss' close friend and advisor, and the wife of another Laker legend, Kurt Rambis. Even their hire of general manager Rob Pelinka stayed within the Laker family as he was Kobe Bryant's—and other longtime Lakers'—agent for over two decades. Pelinka's former career also points at Buss and Rambis seeking to imitate the success of their neighbors to the north in the three-time NBA Champion Golden State Warriors. Current Warriors' GM Bob Meyers, was a former agent himself, and likely the reason why Buss handpicked Pelinka to work under Johnson as the Lakers' general manager. 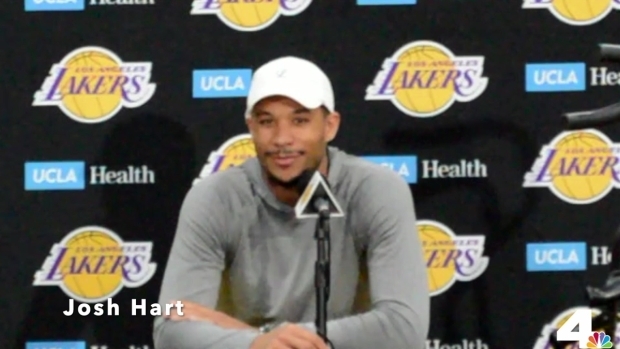 Los Angeles Lakers Kyle Kuzma and Josh Hart discuss team chemistry amidst the Anthony Davis trade rumors, and Brandon Ingram discusses the initial fear he felt when he found out he had a blood clot in his right arm. According to sources speaking on the condition of anonymity with NBC LA, when Johnson took over as President of Basketball Operations, he was intent on "doing things differently." Longtime Lakers employees and executives looked to him for leadership and guidance, but outside of wanting to change the way things within the organization were conducted, he offered up no plan or direction on how they would be executed moving forward. According to multiple reports, these employees and other executives quickly grew tired of Johnson, and his absence. Sources said Johnson would be gone for weeks at a time, and it became a running joke at the team's facility when Pelinka and others would say: "Where's Magic?" insinuating Johnson was an absentee executive. These and others were only part of the "backstabbing and whispering," Johnson spoke about when he stepped down. It appears that Pelinka will remain in his role as general manager moving forward, despite the reports that he is not liked around the league, and that other agents and general managers "don't trust him." As the Lakers enter into arguably one of the most important summers in their franchise's history, the dysfunction doesn't appear to be on the precipice of being fixed, but merely bandaged over. If the rumors of who the Lakers are meeting with as their next potential coaching candidates are any indication, they are simply looking to appease LeBron James by hiring a coach he has either worked with previously, or is comfortable with. They'll likely do the same thing with their newly vacant President of Basketball Operations position, either that, or hire another former Laker and member of the "family" to the front office.